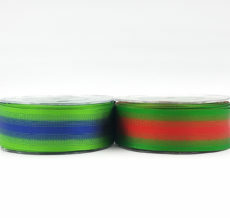 May Arts ombre ribbon is a fun choice for gift wrapping, scrapbooking, or any gift basket & floral arrangement. Available in sheer, solid, & satin. Whether you are getting ready for Christmas, Easter, a baby shower, or just a little summertime fun, May Arts has the perfect ribbon.